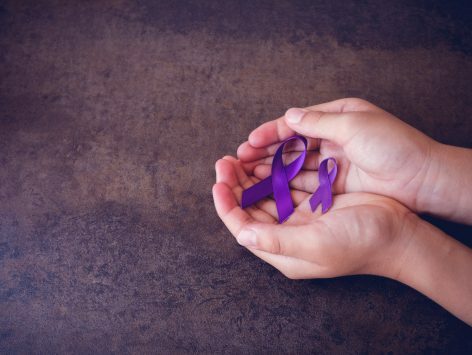 We will provide an introductory level description of the basic immunology and pathophysiology of systemic lupus erythematosus (SLE) that will allow rheumatology nurses and nurse practitioners to better understand and explain key concepts of SLE to their patients. This activity has been designed to meet the educational needs of nurses and nurse practitioners. Other healthcare providers may also participate. 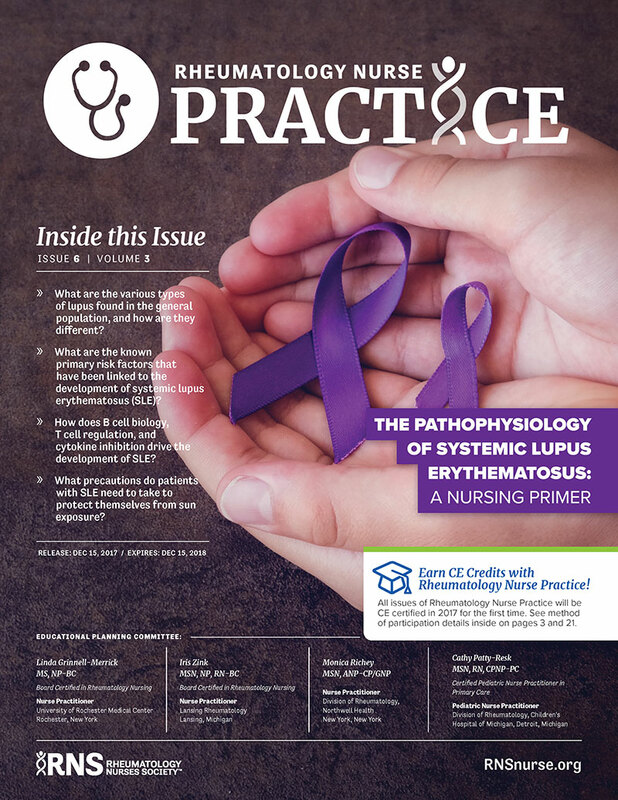 In this issue of Rheumatology Nurse Practice, we will provide an introductory level description of the basic immunology and pathophysiology of systemic lupus erythematosus (SLE) that will allow rheumatology nurses and nurse practitioners to better understand and explain key concepts of SLE to their patients. According to the disclosure policy of the Rheumatology Nurses Society, all faculty, planning committee members, editors, managers and other individuals who are in a position to control content are required to disclose any relevant relationships with any commercial interests related to this activity. The existence of these interests or relationships is not viewed as implying bias or decreasing the value of the presentation. All educational materials are reviewed for fair balance, scientific objectivity and levels of evidence. Linda Grinnell-Merrick, MS, NP-BC, has disclosed the following relevant financial relationships specific to the subject matter of the content included in this educational activity: Pfizer, Novartis, Lilly, Horizon/A; Janssen/C, SB; AbbVie, Celgene/SB. Monica Richey, MSN, ANP-CP/GNP, has disclosed the following relevant financial relationships specific to the subject matter of the content included in this educational activity: Mallinckrodt/A. Iris Zink, MSN, NP, RN-BC, has disclosed the following relevant financial relationships specific to the subject matter of the content included in this educational activity: AbbVie, Pfizer, Crescendo/A,SB; Sanofi/A; Bristol Myers-Squibb/SB. Cathy Patty-Resk, MSN, RN, CPNP-PC, has disclosed the following relevant financial relationships specific to the subject matter of the content included in this educational activity: Horizon, Novartis, Medac/A. Carrie Beach, RN, BSN, Rheumatology Nurse, Columbus (OH) Arthritis Center has disclosed the following relationships: Pfizer, Horizon, Novartis/A. This activity will review off-label or investigational information of the following: Atacicept, blisibimod, anifrolumab, and sifalimumab. Kathy Holliman, Medical Writer, has disclosed that she does not have any relevant financial relationships specific to the subject matter of the content of the activity. Kevin D. Lyons, Executive Director of the Rheumatology Nurses Society and Chief Executive Officer of Lyons Den Solutions, LLC, has disclosed that he does not have any relevant financial relationships specific to the subject matter of the content of the activity. 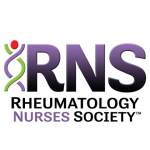 Rheumatology Nurses Society is accredited as a provider of continuing nursing education by the American Nurses Credentialing Center’s Commission on Accreditation. Rheumatology Nurses Society designates this educational activity for 1.75 contact hours (1.0 pharmacotherapeutic contact hours). There are no fees to participate in the activity. Participants must review the activity information including the learning objectives and disclosure statements, as well as the content of the activity. To receive CNE credit for your participation, please complete the post-test (achieving a passing grade of 70% or greater), and program evaluation. Your certificate can be printed immediately. © 2017. This CNE-certified activity is held as copyrighted © by Rheumatology Nurses Society. Through this notice, the Rheumatology Nurses Society grants permission of its use for educational purposes only. These materials may not be used, in whole or in part, for any commercial purposes without prior permission in writing from the copyright owner(s).